Rob Forward and Laurence Taylor are among the first players in Australia to have booked their seats for the first APL/888PL MAIN EVENT at Crown in February after finishing 1-2 in the Western Australian State Championships at the Tompkins Park Community and Recreation Centre. The field included the State’s best performers including season 3 regional champions Rick “Big Rick" Weight (Albany), Todd Arbuckle (Bunbury/Margaret River); Tabitha Nott (Perth Central City), Renae Richardson (Perth North West), Dylan Stringer (Perth South East), George Grech (Perth South West) and leaderboard champion Anton Maya (Perth North East). The 321-strong field was whittled down to 220 by the end of the first hour and it wasn’t long until the final 16 were decided, comprising Christopher Chamoun, Dave Sinclair, David Wilcox, Gary Field, Gavin “The Cowboy” Brooks, Graeme “Grayo” Wright, Laurence Taylor, Mark “Harro” Harrison, Michael “Billy” Billington, Pete Lehtonen, Phil Aquino, Richard Webster, Rob Forward, Russell Bartram, Simon Garbutt and Tashi Harrower. 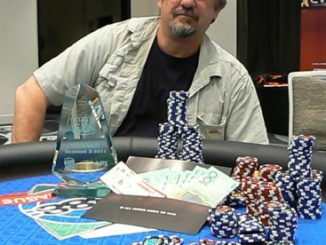 But there were only eight spots up for grabs at the final table, and they were filled by Mark Harrison (455,000), Simon Garbutt (260,000), Rob Forward (190,000), Dave Sinclair (185,000), David Wilcox (180,000), Richard Webster (175,000), Phil Aquino (135,000) and Laurence Taylor (100,000). 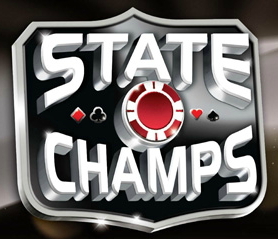 After Harrison departed in third, it was down to Forward and Taylor, who started as the short stack at the final table, for the title – both having already locked in their MAIN EVENT seats. In the final hand, Taylor was all-in with J-8 but faced an uphill battle against the pocket kings of Forward. 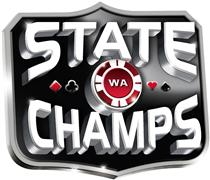 The board ran out Q-3-5-3-Q, and Rob Forward was confirmed as the newest WA State Champion. He also took home $750, while Taylor pocketed $400. 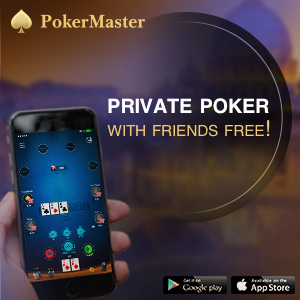 ONLINE POKER: “Luck versus skill” argument the key to freedom?